We are a long-term investor with no fixed investment horizon. We believe the obsession with instant gratification and results blinds investors from realising Africa’s long- term potential. Africa needs a new investment model, one that can invest through different cycles. By investing long-term capital, we will stimulate long-term thinking and decision making, ultimately leading to sustainable growth. We are a minority investor. We respect our partners’ independence and provide expert advice and constructive insights to help guide their businesses in the right direction. We invest in local and independent financial institutions. We believe that it takes more than a handshake to achieve our long-term goals of growth, development and profit. It takes time, collaboration and trust. We work closely with local and independent financial institutions to support their ongoing success and the economic rise of Africa. We believe that good corporate governance is an essential business component. Strong, independent boards are therefore a key ingredient to our investment success. That’s why we aim to improve governance in our investments. We will therefore always have representation on the boards of investees. We are an active investor that adds value to our investments. We believe that making a success of others is what makes us successful. What’s good for Africa is good for us. Our in-depth knowledge, experience and credibility give us the means to help our investments grow and prosper − which ultimately leads to meaningful partnerships. We add value to our investments with the help of our dedicated in-house bank development team and extensive networks. Arise invests in banks, non-bank financial institutions, niche financial services companies and Fintech companies in Sub-Saharan Africa. Arise makes equity and mezzanine investments with a minimum investment of USD 5 million and a maximum investment of 20% of total portfolio. Arise is a minority investor, which always requires board representation, preferably two board seats or a minimum of one board seat. Arise only invests where there is mutual agreement on direction of strategy with fellow shareholders and management. Arise invests where there is alignment between talented, experienced and reputable management teams. Part of our investment approach is evaluating the deployment of new capital based on a development framework. 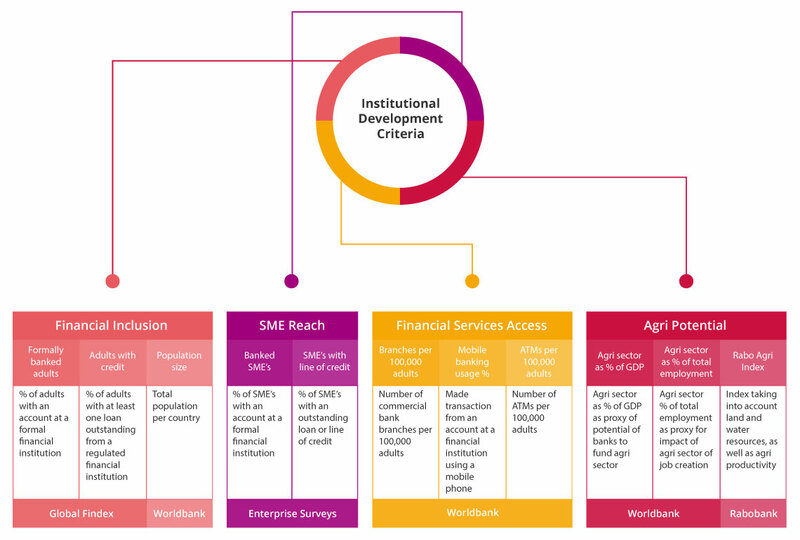 For example Arise will invest in local and independent institutions who contribute to long term sustainable growth by furthering financial inclusion, SME reach, financial services access and agricultural funding potential.